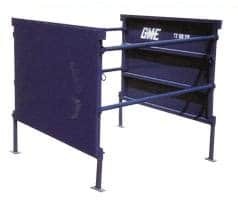 One of our most popular GME Steel Trench Boxes shields for going deep, in good to moderately poor soils. This trench box shield is engineered to the realities of profitable pipe laying. With high tensile steel, non-rigid design and strategic reinforcements, the GME 8M Series assures you of heavy duty performance in exacting conditions. Top of the line for going deep with heavy machinery. For going deep, moving fast and making money, the GME 8H Series is the best you can buy. This shield is engineered to the realities of profitable pipe laying. With high tensile steel, non-rigid design and strategic reinforcements, the GME 8H Series assures you of heavy duty performance in exacting conditions. No other shield is comparably rated. GME developed the 6″ Series trench box shield for the cost conscious contractor who is hunting for that special mix between better-than-average depth capacity and moderate costs. Many contractors frequently work in depths that the smaller shields cannot handle. GME recognized this problem and designed the 6″ wall shield to meet this special need. If you want good depth capacity, moderate weight, and reduced excavation costs at a reasonable price – then investigate the 6″ Series trench shields. GME developed the 6″ Series trench shield for the cost conscious contractor who is hunting for that special mix between better-than-average depth capacity and moderate costs. Many contractors frequently work in depths that the smaller shields cannot handle. GME recognized this problem and designed the 6″ wall shield to meet this special need. If you want good depth capacity, moderate weight, and reduced excavation costs at a reasonable price – then investigate the 6″ Series trench shields. 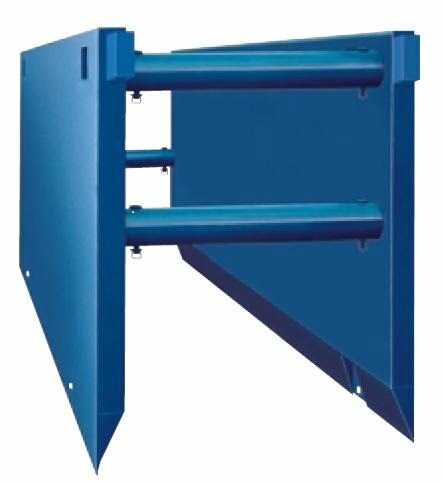 The 4M Series narrow – wall trench box shield from GME can help your turn a few extra inches into lots of profitable yards. That’s because the 4M Series has 4 – inch thick sidewalls, rather than the 8 – inch thick walls of our 8M Series. Those narrower walls translate into eight fewer inches of width you need when excavating your trenches, and that can quickly add up to lots of cubic yards of extra soil you will not have to excavate. Result? Faster excavation time, with reduced labor time and minimum amount of machine cycles, to help keep you in the black. Of Course even with narrower sidewalls, the 4M Series has been designed to give you rugged performance in the trenches, for excellent handling of shallow-cut jobs and maximum worker safety in the trench. The 4L Series Trench box shield is ideal for contractors who typically excavate to depths of 12 to 15 feet. This shield is modeled for the smaller rubber-tired excavators / loader machines. Utilizing special light weight materials, this shield is ideal for repair / maintenance work. The 4L Series is not designed for continuous pipe laying duty. Care should be exercised when quoting this unit. The 3M Series trench shields are ideal for plumbing and utility work, maintenance and repair and other light duty applications. The narrow 3-inch wall in the 3M Series is the lightest weight steel trench shield we manufacture. The 3L Series Drop Box is specifically designed for plumbing and utility work, general maintenance, repairs, and other light duty applications. The 3L Series is easily handled by smaller rubber-tired backhoes, and lowered into position in the trench for fast worker protection and code compliance.